They're the worlds most efficient heaters and they make great air conditioners. 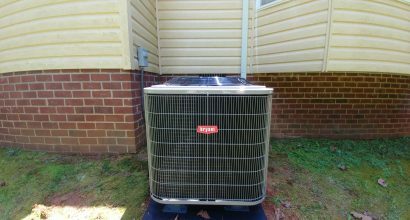 A heat pump represents excellent value because it heats in the winter and cools in summer, unlike natural gas which only does half the job. High energy efficiency is a huge plus to help you save on heating bills. is also filtered to remove impurities like pollen and dust. Chances are you work in air conditioning, or drive with it in your car. Don't you deserve it in your home ? Home heat pumps are compact sealed systems similar to a refrigerator - but unlike your fridge they can both heat and cool. Here's how. Feel the warm air that rises from the back of your fridge. Believe it or not, that warmth is coming from the inside. An evaporator coil extracts warmth from the air inside, and transfers it out into our kitchen through a condenser coil on the back. Heat pumps work much the same way. Two linked coils, one inside your home, one outside, circulate a refrigerant that draws warmth from the outside air and transfers it into your home. Nothing is actually heated - there are no glowing elements - and the process is very efficient. 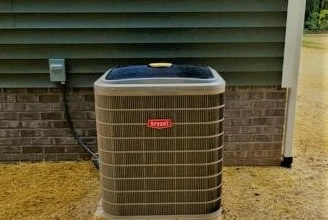 Best of all, at a flick of the switch your heat pump can work in reverse, acting as an air conditioner to pump heat out of your home and keep it refreshingly cool in summer. So you and your family can feel just right all year round.